The Azure Cost Monitor Team is happy to announce the launch of the new customer url feature starting today. 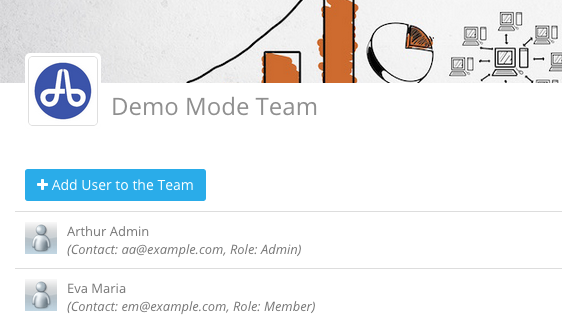 Now, users are able to create as many customer urls for their team as required. These customer urls are called buckets in the Azure Cost Monitor because the system can connect different information and actions with an bucket. Whenever a user visits the Azure Cost Monitor with the generated bucket url the system triggers the preferred sign-in workflow, e.g. Azure Active Directory. In addition the system applies the configured branding, so that every end user gets the same unique experience. Tip: Every team has a default bucket which is the same as the team id and can be used directly when no custom bucket is created. Interested in the “customer url – feature”? The new feature integrates the Azure Cost Monitor more seamless into existing IT service infrastructures and increases the end user experience of your team members and co-workers. 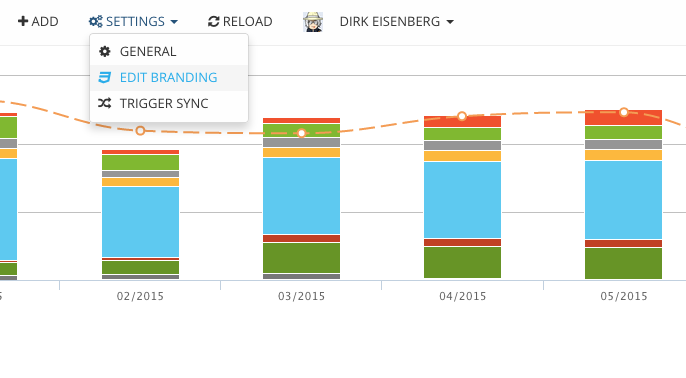 Try the new feature today by simply logging into your Azure Cost Monitor enterprise account. If you don’t have an enterprise subscription, try it for free for a certain time, as we are currently in the technical preview phase. Microsoft Azure Active Directory is a steady growing identity- and access-management platform which can be used from developers to swap out user management, authentication and authorisation. Azure Active Directory offers several end points and authentication protocols e.g. SAML2, WS-FED or oAuth2. A widely adopted protocol is oAuth2 which ends up with an issued JWT token. This article describes how the JWT token issued by Azure Active Directory can be verified in a node.js application. 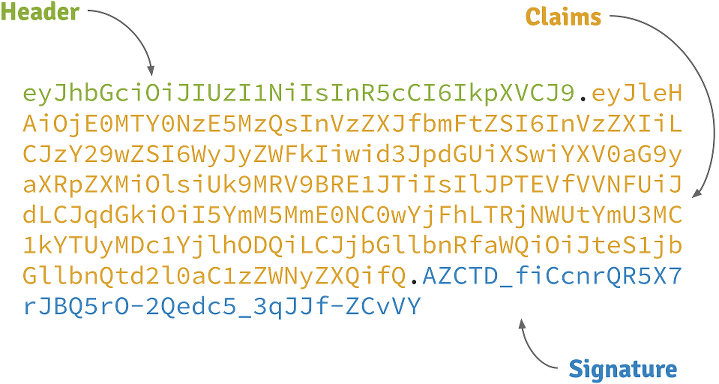 A JWT token is a non-encrypted digitally signed JSON payload which contains different attributes (claims) to identify the user. The header is very static and should be used to identify which algorithm was used for the digital signing. This signing algorithm needs to be used to verify the digital signature in the node.js application later on. The payload contains the JSON object with all the claims and information which can be used to verify the user. Trusting this content is only possible when the digital signature of the token is valid and some standard claims, e.g. the issuer or the audience are verified. Otherwise it could be that someone else generated a JWT (man in the middle attack) to get unauthorised access to your application. The signature is the last part of the JWT and needs to be used for verification of the payload. This signature was generated with the algorithm described in the header to prevent unauthorised access. So the node.js application needs to verify if the token was issued from the directory we expect. Another side effect of this is, that Azure Active Directory uses different keys for every tenant to issue tokens. This means that the validation code needs to get the right verification key for the token. Microsoft uses RS256 for JWTs issued via oAuth2, so the right certificate needs to be downloaded from somewhere. The result is a JSON payload which contains the jwks_uri that should be used to download the certificates. Behind the URI several certificates are available and we currently don’t know which the right one is. The simplest way would be to do a little brute force and verify the JWT against every certificate. Download the signing certificates from the well known openid configuration endpoint Microsoft provides. The end point url can be generated with the help of the tenant-id. Verify the JWT with RS256 against the downloaded certificates. For this, every existing JWT module can be used. After the token is validated check if the iss-claim contains the same value we expect from the tenantid. After this process the system verifies the token and we know that this token was issued by Azure Active Directory for the described tenant. This means we are now able to rely on this information. The component is currently not intended to be an express middleware but it’s easy to extend it that way. A good starting point is the express-jwt middleware which should be used as starting point. The current implementation does not work with certificate caching, so when your system has a huge amount of verification requests it makes no sense to download the certificates during every request. This can be done once when the application starts or in a small cache implementation which invalidates the certificate when it was expired as well. I hope this helps everybody in the node.js space to integrate Azure Active Directory very fast and easily. The described component is used from the Azure Cost Monitor in the production environment so feel free to integrate the package also in your real world applications. So when you have any questions, feel free and leave a message on this blog. 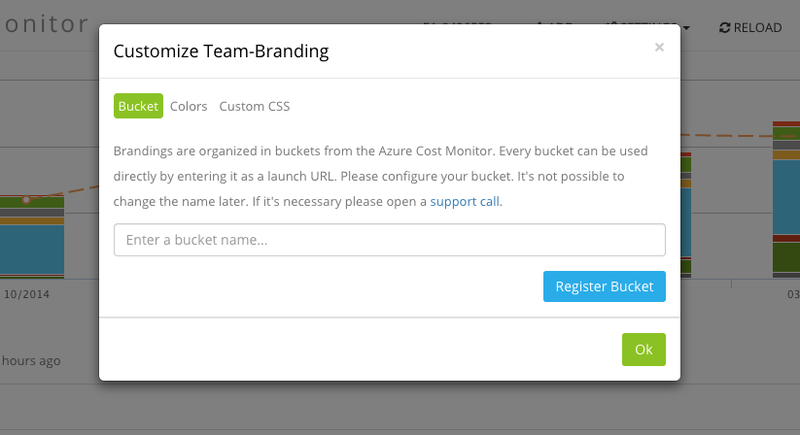 The Azure Cost Monitor Team is happy to announce the launch of the new branding feature, starting today. Now, Azure Cost Monitor users can customize their application with the title, color schemes and images of their choosing, for a more seamless integration into already existing IT processes of an enterprise. This new feature also enables Cloud Service Providers and Resellers to offer the Azure Cost Monitor as a White-Label-Solution. Log in to your Azure Cost Monitor dashboard and if you don’t have a team account migrate to a team account. Define a bucket name to give your customizing a unique launch URL. 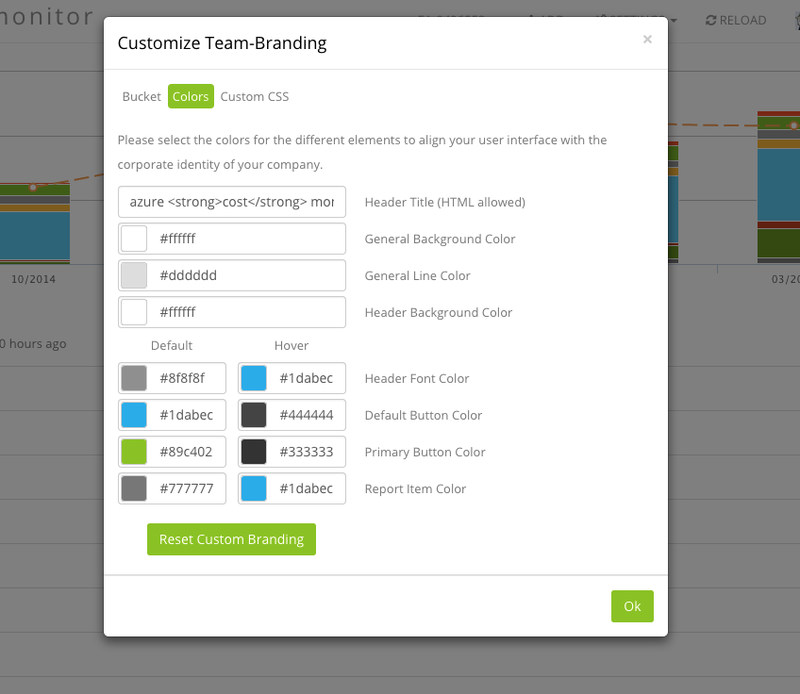 Define your customized header title, color schemes, button colours or even add a custom CSS for advanced styles. Changes will be shown in the dashboard immediately. Once you have configured the custom branding, the users will see the branded pages after they have entered their bucket URL, which can simply be deployed e.g. as browser favourite. Interested in the branding feature? The new branding feature leads to an higher acceptance and identification within an enterprise and makes azure cloud cost management seamless and comfortable. Try the new branding feature today by simply logging into your azure cost monitor enterprise account. If you don’t have an enterprise subscription, try it for free for a certain time, as we are currently in the technical preview phase. The Azure Cost Monitor Team is excited to announce the launch of the new “subscription based permissions – feature”, starting today. When it comes to ensuring effective cloud use at your company, nothing will help you make better decisions than the right, relevant data. With this new feature, adressing specific ressources to each department has never been easier. This great feature also makes it very easy for Service Providers to give their customers transparency about their subscription based spendings. 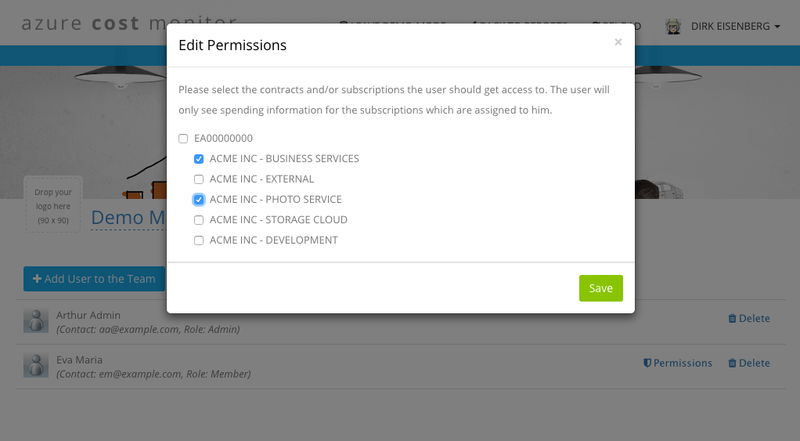 Interested in the “subscription based permission – feature”? The new feature brings structure to all of your subscriptions in the Azure Cost Monitor and makes cloud cost management easy and comfortable. With Azure App Services (aka. Azure WebSites), the Microsoft Azure cloud offers a great, highly scalable and simple way to host cloud and SaaS services. Besides ASP.NET, several other platforms and languages are supported, e.g. node.js, Python or Java. I personally prefer hosting services written in node.js on this nice managed service of Microsoft. A common problem for web-services are background jobs like e.g. sending out e-mails or calculating some sales numbers once a day. This use-case can be addressed with Azure WebJobs which are running on the same instance as the web service itself. Jamie Espinosa described the behaviour of WebJobs on an Azure Friday very well. Azure Friday is BTW hosting a whole series about Azure WebJobs, so check it out to get more information. Normally when deploying a web service into the Azure WebSite the associated WebJobs will be restarted out of the box. A special thing of node.js based Azure WebJobs is that only when the run.js file is changed the WebJob will be restarted. This means when the system just changes an other module or updates the npm dependencies no restart will be enforced. This works fine but after all there is still one piece missing: How to get the deployment hooks deployed with git themselves? 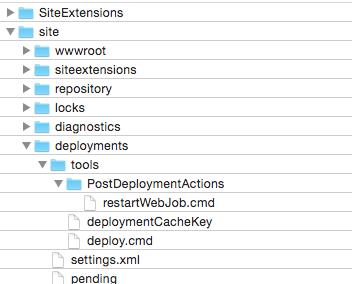 There are several options to reconfigure the deployment hook directory but I was not able to figure this out. So when you have an idea, feel free and leave a message to discuss any options. 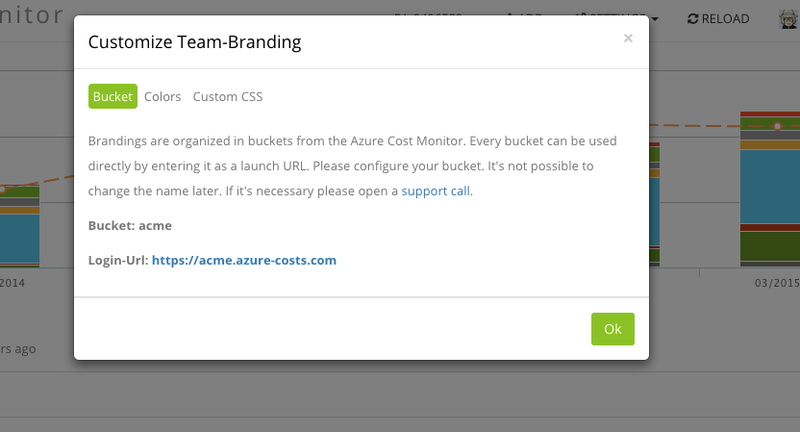 The azure cost monitor team is very happy to announce the launch of the team-support feature, starting today. This great feature allows enterprise accounts to be accessed by as many users as needed, simplifying the sharing of spending dashboards and cost data within an enterprise. Team-Support enables companies to use the azure cost monitor without concerning about departmental boundaries and makes processes like cross-charging possible & easy. What comes with the new team-support feature? 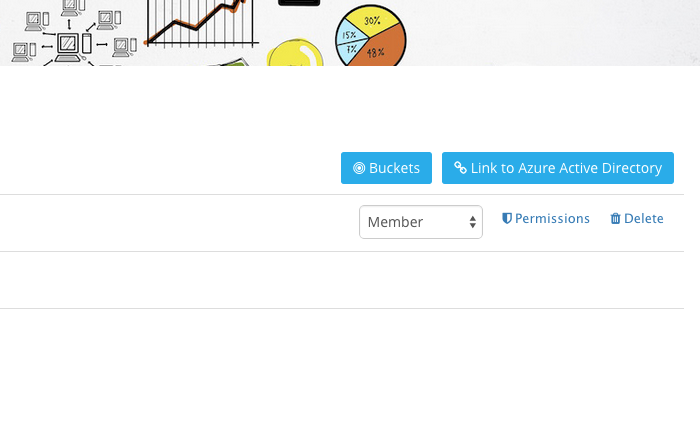 Limitless amount of users: Create an unlimited number of users for your azure cost monitor enterprise account. Role based access: Define the role of new users and specify whether each user can add new users, renew EA tokens, add new EA contracts and other important actions. Mail based invitations: Enter the email addresses of the users you would like to invite to your account. The addressed user gets an invitation and can join your team fast and simple. If you already have an existing account migrate your account into a team account. This migration only needs to be done once. During this process the system converts your personal account in a team account and assigns all existing enterprise agreements to the team. 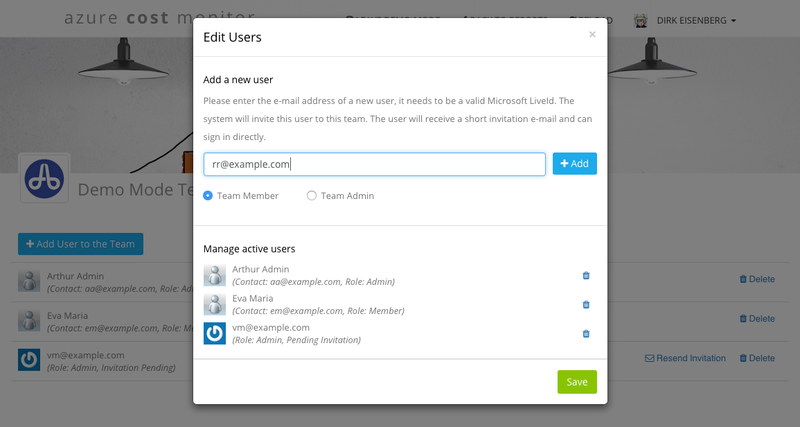 Fill in the new user’s email address and choose the users role. After that click “Add” and “Save” the changes. The new user will get a mail with instructions for activating the login. Interested in the team support feature? The new team support feature brings transparency to all stakeholders within an enterprise and makes azure cloud cost management easy and comfortable. Try the new team support feature today by simply logging into your azure cost monitor enterprise account. If you don’t have an enterprise subscription, try it for free for a certain time, as we are currently in the technical preview phase. The last part of this article series described the principles of Twitter-like services based on Azure Storage Tables. This part now describes the structure of a new node module which acts as a timeline service. This service can be used very easily in existing node projects. All samples are implemented in the sample file of the Azure Timeline project here. Any questions? Feel free to open an issue at GitHub or just stay in touch via this block.